Design your own website. if you're new to web coding and design but you really want to build a website yourself, there are many options open to you. 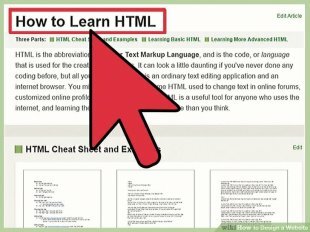 You can build a simple site by teaching yourself basic html and CSS coding. Just be sure that you can also make it look nice and professional! 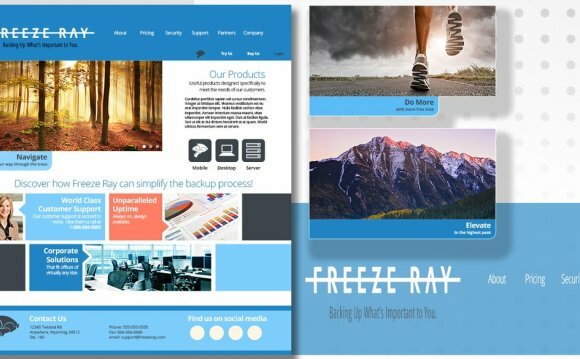 Use a pre-made website template. 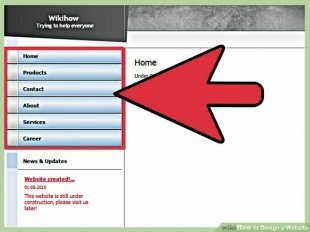 You can purchase or find free pre-made websites very easily on the internet. 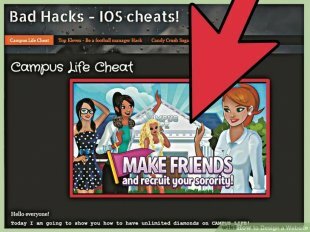 These are pre-made codes which you simply use and alter to your own needs. 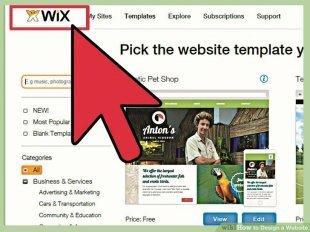 There are many reputable providers of templates, but a good one is Wix. 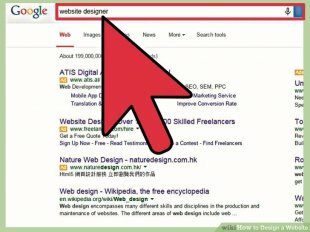 Hire a website designer. If you want something tailored to your needs that looks professional and runs great, it's probably a good idea to hire a website designer. While this will definitely cost you money, it won't be as expensive as it sounds. You can get a designer on the cheap by advertising at a local technical college or university. Their experience will help guide you to a more successful, more professional website. Streamline your webpage. You want everything to be as fast and easy to use as possible. Minimize the number of choices that someone has to make, make navigation extremely self-explanatory, and help them get to what they're looking for as quickly as possible. Practice good user interface design. Positioning the various elements of the website, such as the title, sidebars, logos, graphics, and text, in the same places on every page will make your site navigable and intuitive. Keep the same header at the top of every page. Whether or not your site content lends itself to many repeating elements, making sure that the top of every page is identical is a must. Use logic in your design. The elements on a single page should be ordered logically by importance or by topic; the various pages in the site should do the same. Create a consistent style. While the layout should give your site structural consistency, the style should give it thematic harmony. Stick with two or three main colors and make sure they harmonize well. Avoid using too many font styles or sizes; if you do plan to alternate between a few, make sure you use them the same way on every page. Maximize readability. To make your text easier to read, break it into smaller sections. Use subheadings and appropriate spacing to separate each of the sections. Use bold or different-sized fonts to show the hierarchy and importance of the topics. Pay attention to text handling. Don’t make the font too small, and widen the line spacing to make large blocks of text more readable. Large blocks of text will be harder to read; break these up into smaller paragraphs instead. Make your website universally readable. 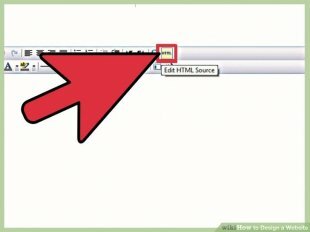 Use standard HTML and avoid tags, features, and plug-ins that are only available to one brand or version of a browser. 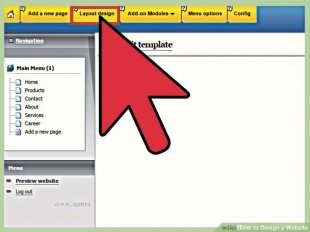 Although most modern browsers and computers can handle complex images, everything will be a little snappier if your keep your images smaller in size and optimized for the web. Balance the desire for quality against the need for speed. Test your website. Make sure that every link works as you expect, and that images appear correctly. You may want to conduct some usability tests by having members of your target audience test the clarity and ease of use of your design, and give you feedback on your website.